There are anime about almost any imaginable topic so it’s not really surprising there also exists anime about gambling as well. Of course, being anime and all, it’s natural that there is a twist to each of these series. While there are the more traditional settings of high stakes casinos, there are also some very unconventional settings as well such as the first anime on the list which takes place in a highschool, or the second anime on the list which uses magic abilities and special cards. These twists are why these three anime are must watch faves. This anime is unique because it takes place in a very corrupt highschool where students enjoy betting and wagering with other students. However, there’s more than money at stake, as those who cannot repay their debts before graduation receive “Life Schedules” which determine everything from their career, to who they will marry and have children with. However, there exists a student who doesn’t seek to gain anything, and merely enjoys gambling for the thrill. She also has a unique ability to see past scams and quickly begins to disrupt the schemes of the student council. My favorite things about this anime are the strong female lead, and all of the drama and slice of life antics between the characters. It might be normal to expect this kind of high stakes excitement from the top10-casinosites.net but not from a highschool setting. This makes for a very interesting dynamic. By the way, the manga is half off on Amazon and as of this blog post, it will still arrive before Christmas. Check it out here. https://www.amazon.com Manga makes great stocking stuffers for any geeks on your list and at just $6 a volume, it’s easy on your wallet too, which leaves you more money for some gambling of your own, if you’re into high stake wagers yourself. Rio: Rainbow Gate, unlike our previous anime, takes place in an island casino resort. The main character is a popular casino dealer believed to bring good luck to gamblers earning her the nickname the Goddess of Victory. Rio is discovered to be a Gate Holder, a dealer who holds ones of 13 legendary Gate cards. Whoever can collect all 13 cards will be the most valuable casino dealer. In order to obtain all 13 cards. 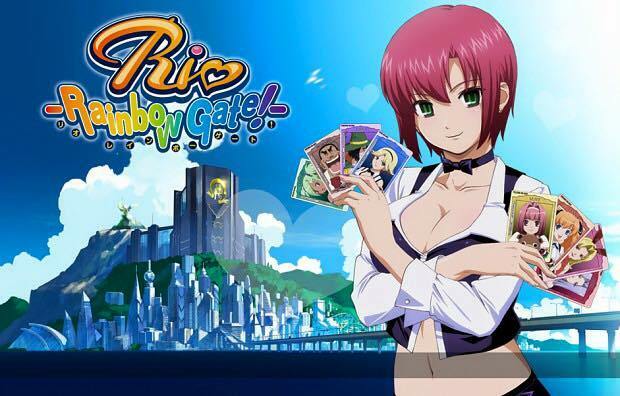 Rio takes part in special card games called Gate Battles against the other dealers in hopes of defeating them to obtain their Gate cards in order to become the most valuable casino dealer in the world. The Gate Battles and Ladder scheme remind me a lot of Pokemon and Pokemon Battles like when they challenge the gym leaders for their badges. It gives off kinda the same concept. It is exciting to watch, even though it is predictable and we all know or expect the main characters to be the champion. There is no anime adaptation but there is a live action adaptation of this popular manga. You can watch the live action Liar Game on Viki. What if you received a package with $1,000,000 and a note forcing you to become a contestant in a dangerous high stakes game. That is exactly what happens to poor, naive college girl, Nao Kanzaki in the Liar Game. The Liar game encourages you to lie and cheat to obtain your opponent’s money. Nao loses her money because she is too trusting. Needing to find a way to win back her money, she seeks help from someone her exact opposite, a skilled con artist named Shinichi Akiyama. After winning back her money, the two agree to continue playing the Liar Game to advance through the tournament and free their opponents from their debts, with the ultimate goal being to take down the Liar Game organization once and for all. What are some of your favorite casino or gambling themed anime? Leave a comment below.